We pay tribute to supreme planet hunter William Borucki, who retires this week from NASA. 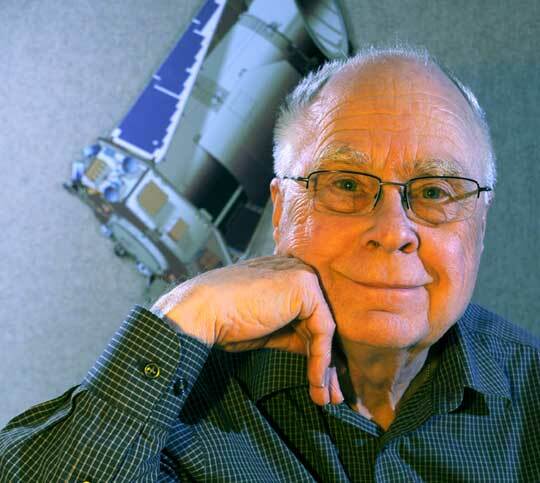 Bill Borucki spent decades first advocating for a transit-search satellite and then leading the Kepler mission to outstanding success. Kepler has now found over 1000 transiting exoplanets, and in particular has opened up whole new fields of research on small planets and on multiple-planet systems. This entry was posted in Kepler planets and tagged Bill Borucki on July 2, 2015 by waspplanets.